The HOME program is a year-round overnight shelter for single adult men ages 18 and older. 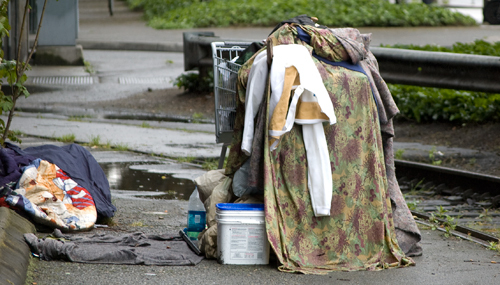 The HOME shelter directly address the issues of homelessness in South King County by providing a safe place for homeless men to sleep and receive a hot meal, as well as giving them the opportunity to stabilize and work on self-sufficiency through case management. Men who stay at the shelter are provided with case management services which focus on addressing employment goals, mental health and CD issues, Veterans’ services, securing permanent affordable housing and health care for each individual. The HOME shelter has been in operation in South King County for more than 20 years. The program has relied on the partnership and support from area churches, the city of Kent, King County, United Way of King County, and 1,440 volunteers from organizations throughout South King County. The shelter rotates monthly among local churches, and is supported by more than 15 local churches and organizations. The volunteer support keeps men connected to the community and spreads awareness of homelessness throughout the community. Intake Information: Questions contact SKC Shelter Services Catholic Community Services at (253) 854-0077. New underwear and socks – please, no other clothing donations! The Catholic Community Services office at 1229 W. Smith, Kent, WA 98025 serves as the collection point for HOME donations.